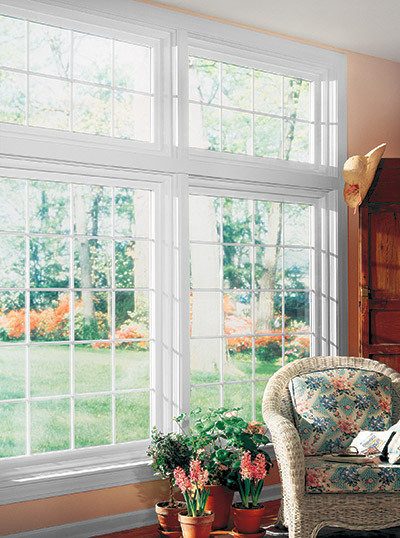 Chicago picture windows are large inoperable windows that maximize the amount of natural light that enters your home. They make it so you can enjoy the great outdoors comfortably from inside your home. Since picture windows are made up of large panes of glass, they allow the most natural light into your home. This will give whatever room they’re some extra flair. Plus you won’t need to use your lights during the day. Picture windows offer the greatest amount of visibility outside your home. You can use this to extenuate beautiful scenery. A good picture window in Chicago blurs the line between outside and inside of your home. Plus, the added visibility and increased light will help make your room feel larger. You’ll feel less cramped as the room opens up thanks to your picture window. Our picture windows are made from vinyl to improve the energy efficiency of your home. Their frames are insulated with foam and the glass is filled with argon gas. These combined prevent heat or air from escaping through your windows. By preventing heat or air from escaping, your home will be comfortable no matter the weather. Your home will be air tight. This also means your furnace and air conditioner won’t have to work as hard to reach your desired temperature. Since your home is air tight, the stress placed on your furnace and air conditioner is reduced. It takes less power to make your home comfortable and you’ll save money on your energy bills. Since picture windows have great sightlines and make your room feel larger, they’re best suited for areas of your home you’re in a lot. 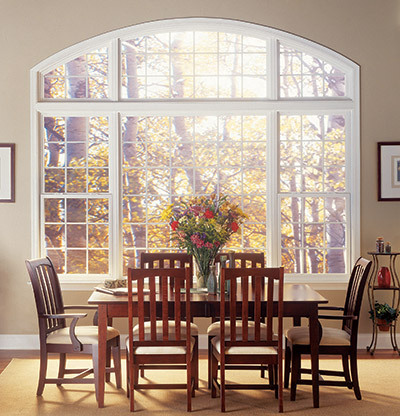 Living rooms, dining rooms and family rooms are common places where picture windows can be installed.